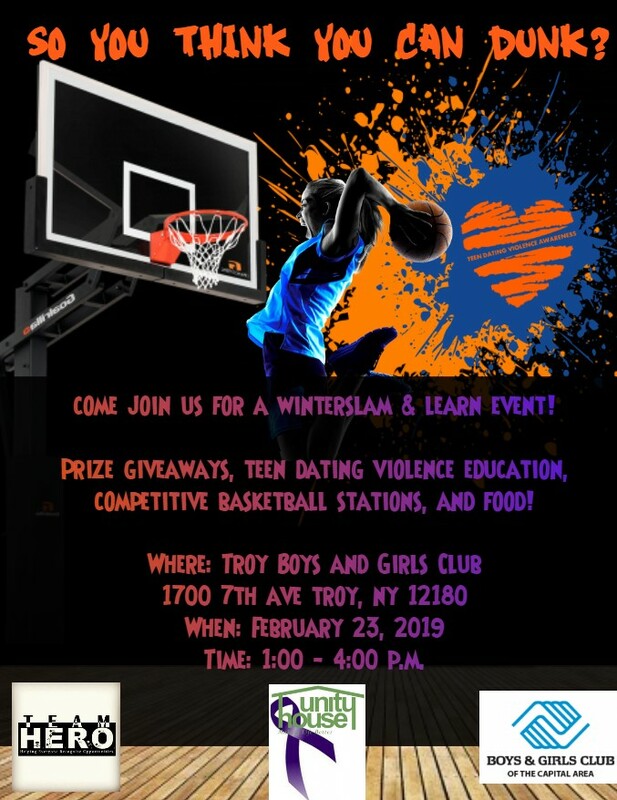 Join Unity House and community partners Team HERO and the Boys & Girls Club of the Capital Area at the Troy location of the club for a Winterslam & Learn event. February is Teen Domestic Violence Awareness and Prevention Month. Talking with teens about healthy relationships is key. At this event there will be prize giveaways, competitive basketball stations, food, and lots of fun!